Sometimes I forget that not everyone constantly keeps up with the news, announcements, and discussions about video games the way I do. This makes me sort of an outlier in the wider multitude of video game fans. A few weeks ago, something nice happened that served as a clear reminder of these things. First, let’s talk about Spyro the Dragon and childhood! The first three games (Spyro the Dragon, Ripto’s Rage!, and Year of the Dragon) came out for the original Playstation each year from 1998 to 2000, and Chris, my younger brother by three years, and I got them at release. It was a frequent presence in our game system; we both liked them a lot. However, most of my memories of the Spyro games from back then weren’t of me playing them, but rather of me just sitting around and watching Chris play through them. I may have enjoyed them, but they were unequivocally his games. 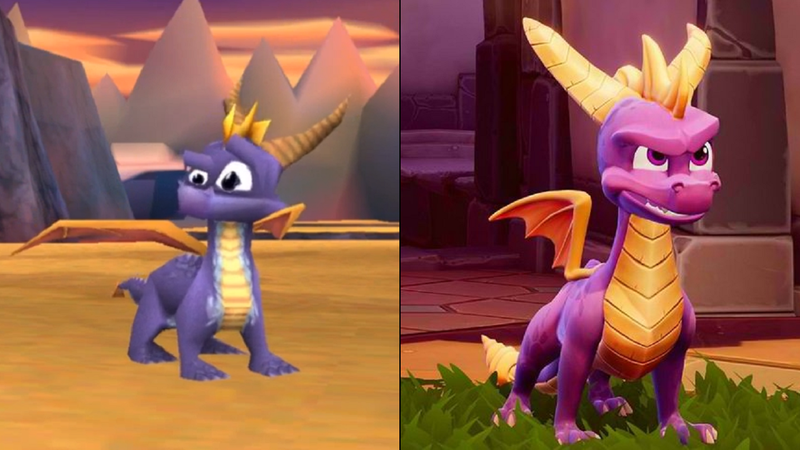 He is the biggest reason why I have been excited for the upcoming Spyro Reignited Trilogy. Sure, I am happy that these games are getting a long-deserved facelift and a chance to be played on current-generation consoles. And plenty of my college friends, who were also Spyro fans back in the day—complete with memories of them playing some on their on-campus apartment living room TV—are really looking forward to it, too. But Chris was the first person I thought of during all the hubbub about the trilogy remake earlier this year. And I was certain he was excited about it all, too! When reports were initially coming out that the trilogy remaster was in the works, I was sure he was hoping it was positively indeed true like I had been. When its existence was leaked and then officially announced, he must surely have been beside himself with joy! A few weeks ago, Chris was apartment-sitting and taking care of the cats while Sandra and I were doing anime convention things over the weekend. When we came back after it was over, on Sunday, we all hung out more that night. Eventually, we started talking about games, and that eventually led to reminiscing on some platformer games from back in the day. He, of course, brought up Spyro. The next moments went somewhat like the following. I’m pretty sure Sandra then chimed in at some point about how “Justin’s always on Twitter and reading articles about this, so of course he’d know!” and that there were times when I’d just not tell her immediately about news that would interest her, under the assumption that she must have seen it, too...except that she hadn’t. Because I forget that not everyone is me when it comes to the extraordinary lengths taken to stay on top of issues of entertainment like that. And that’s how Chris finally found out about the Spyro remasters!